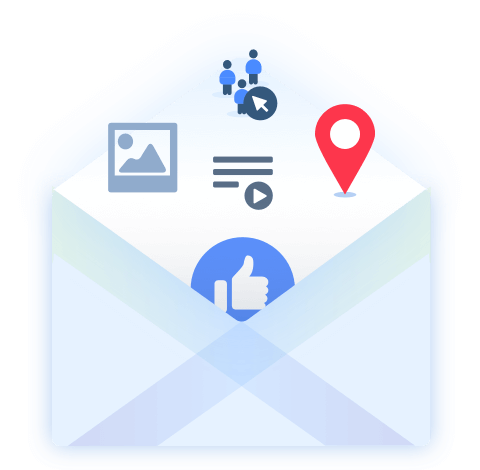 Want to automate all your marketing data with one multi-channel report? Don’t play the data boss! 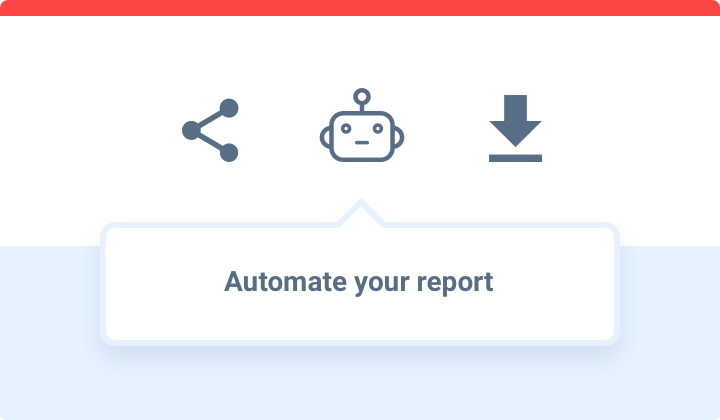 Set up automated reports with Whatagraph, and do what you do best in your role. 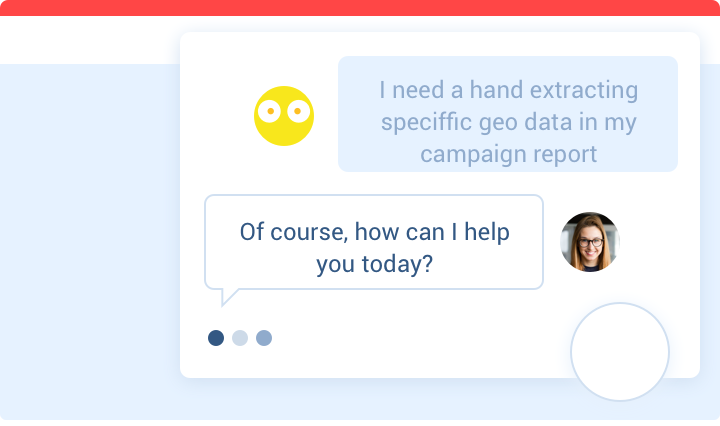 Whatagraph reports save valuable time, so you can create better campaigns, make better decisions and engage with your clients more. 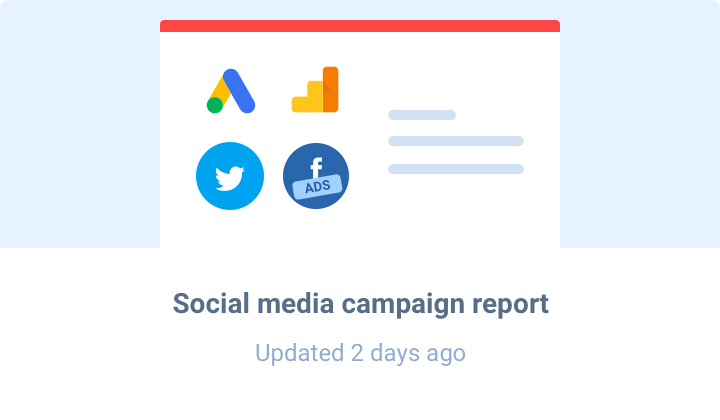 All your advertising platforms in one multi channel report for the fast decision making. Customize reports to bring in campaign data, filter by segments or create custom graphs to show exactly what you need to show. 5 star technical support and personal onboarding is here to make your transition smooth. So when you need a reliable sidekick to your marketing team, we’ve got you covered. "We love how simple and clean the reports are that can be generated, and we use them to better explain to our clients how their digital transformation is aiding their business growth"
"The most complete, easy-to-use, and comprehensive reporting suite available. We use Whatagraph at our Digital marketing agency for all of our client campaign reporting, and the results have been remarkable!" "Our customers feel confident when they see a report that looks polished and well crafted. 'It marries together stunning aesthetics, into an easy interface. Also, I believe in this team"
Is it possible to remove Whatagraph logo from the report? Can I add my own logo? Our Business, Premium and Enterprise plans allow you to remove Whatagraph branding and add your own logo. What does data source mean? Data source is essentially one data connection point from your analytic accounts. For example, one Google Analytics view, one Facebook Ads account and one Instagram page would count as 3 data sources in total. We take data security and privacy issues very seriously. Our system keeps all user data in secure, mirrored servers with a historical uptime of 99.8%. For even more security, you can host your data into your own environment with Enterprise plan. Ready to automate your marketing analytics reporting?